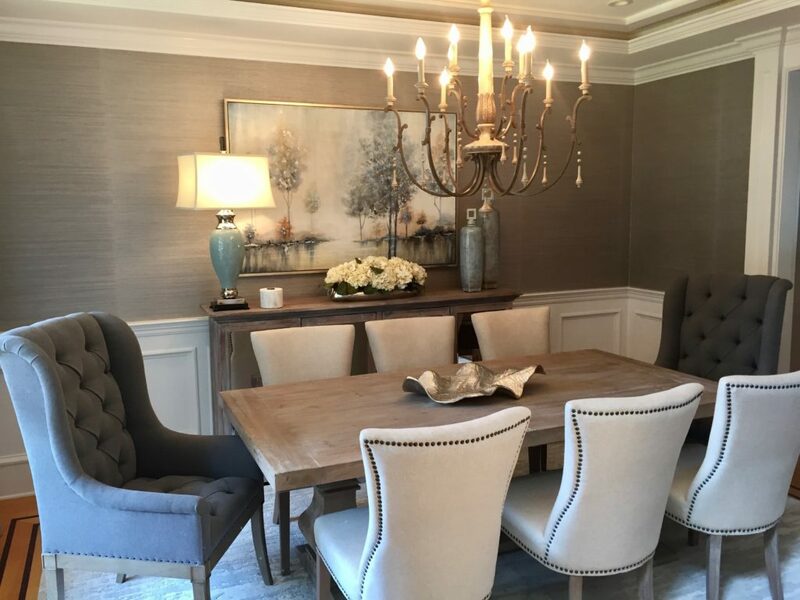 The gray tufted chairs add an inviting warmth to this beautiful dining room. 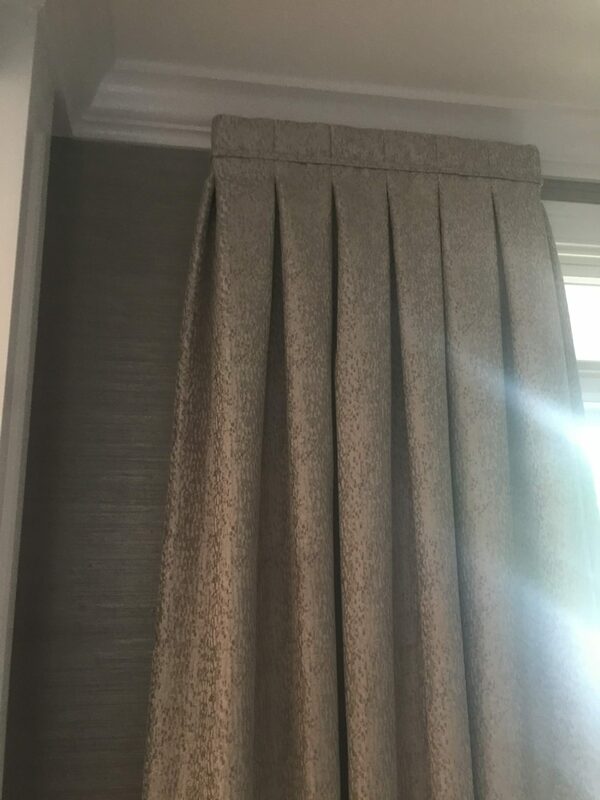 This room had some wonderful bones with the moldings, however the grass cloth wallpaper completed the classy look this client was looking for. 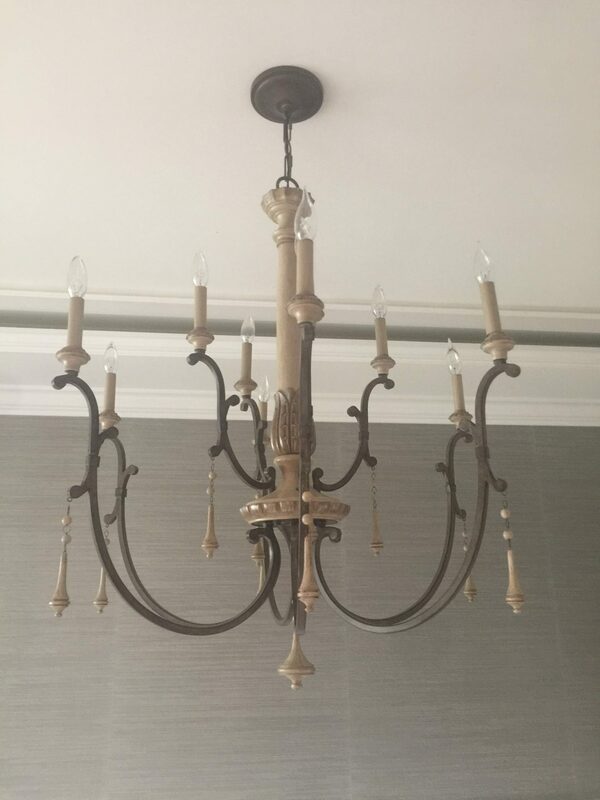 The casual but elegant chandelier as well as all the accessories complement my client’s style. 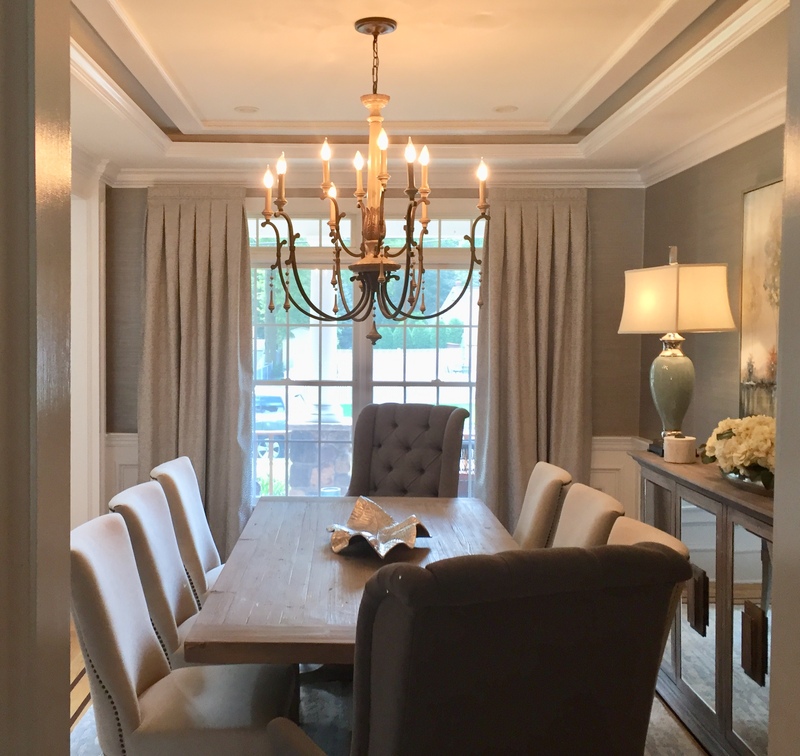 The detailed tailored side panels draw your eyes up to the fabulous tray ceiling. 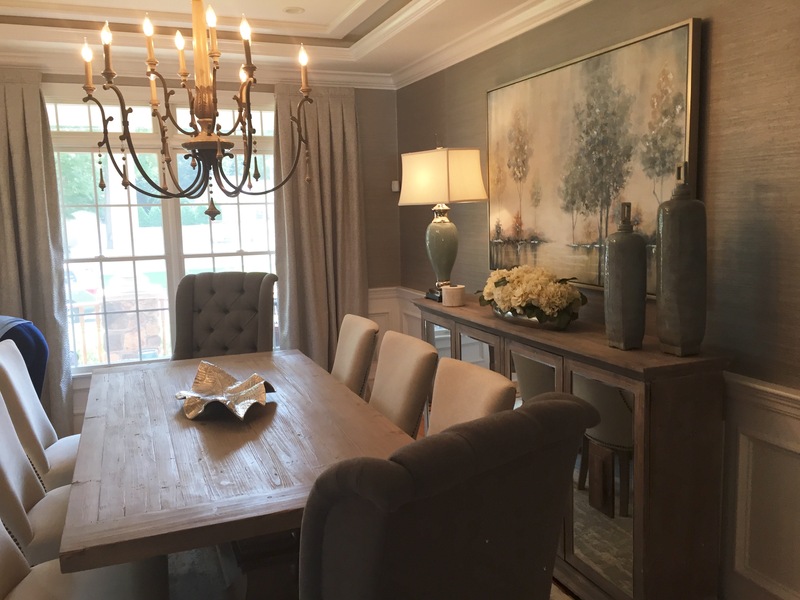 A farm style dining room table was chosen for the casual look. 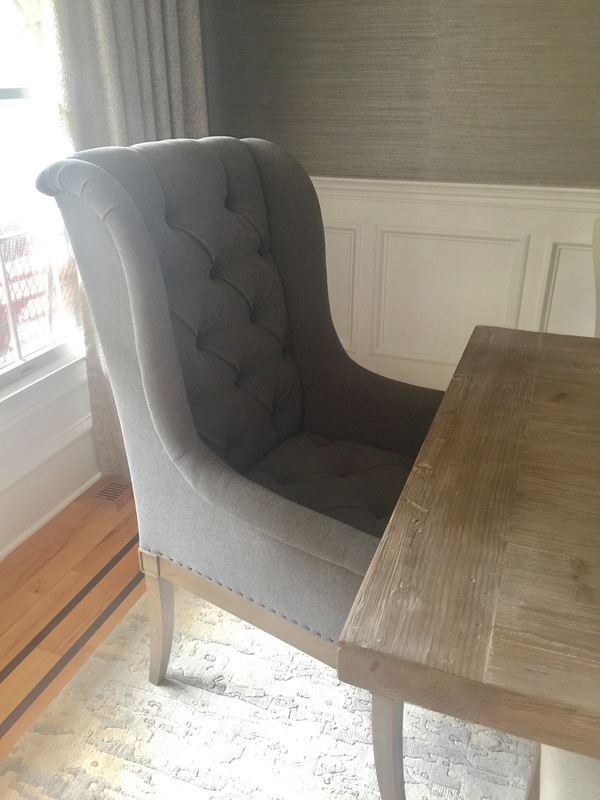 However, some very elegant comfortable seating was brought in to warm up the space. This young client wanted a casual, lighter look. 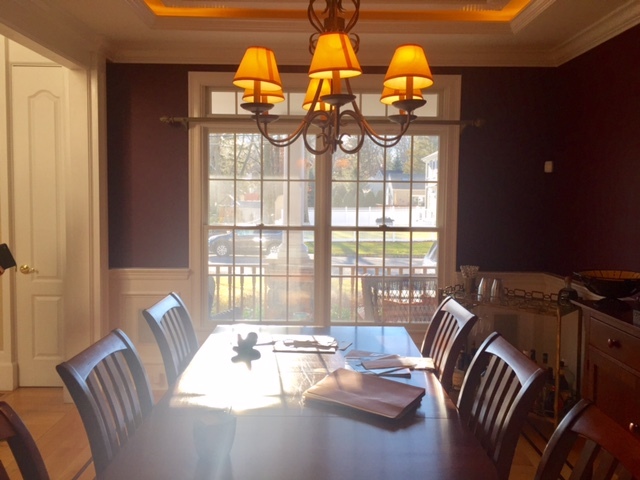 A refreshing change to the mature Burgundy on the walls in the before picture! We started by looking at a Persian rug in a modern style. This stunning silk rug inspired our color palette which flows through the room. 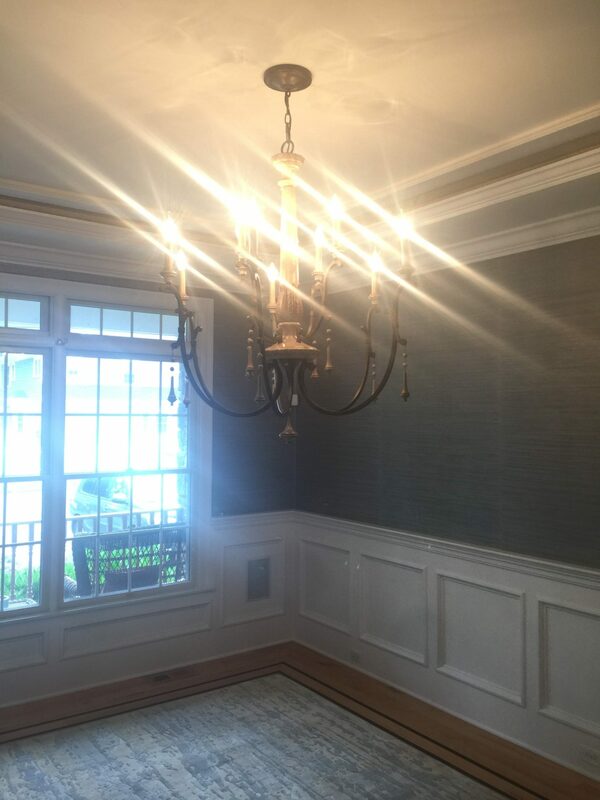 The lower contrast of the new colors on the top of the walls and the wainscoting offer a cleaner, more soothing ambiance than the former drama of the burgundy and white.